Abstracts – not as easy as you might think! I mean, really, how hard can it be? 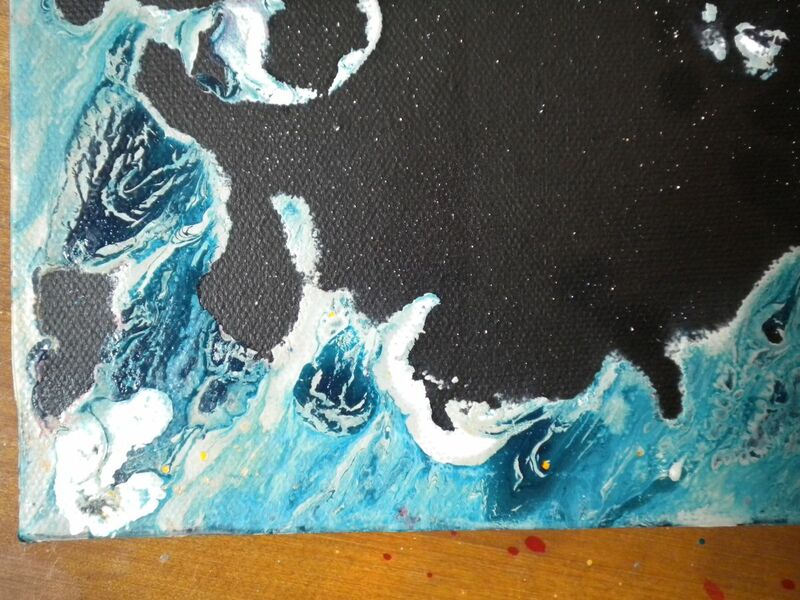 Clearly you just pour a bunch of paint on a canvas, et voila – a masterpiece! yeah, as if…….. 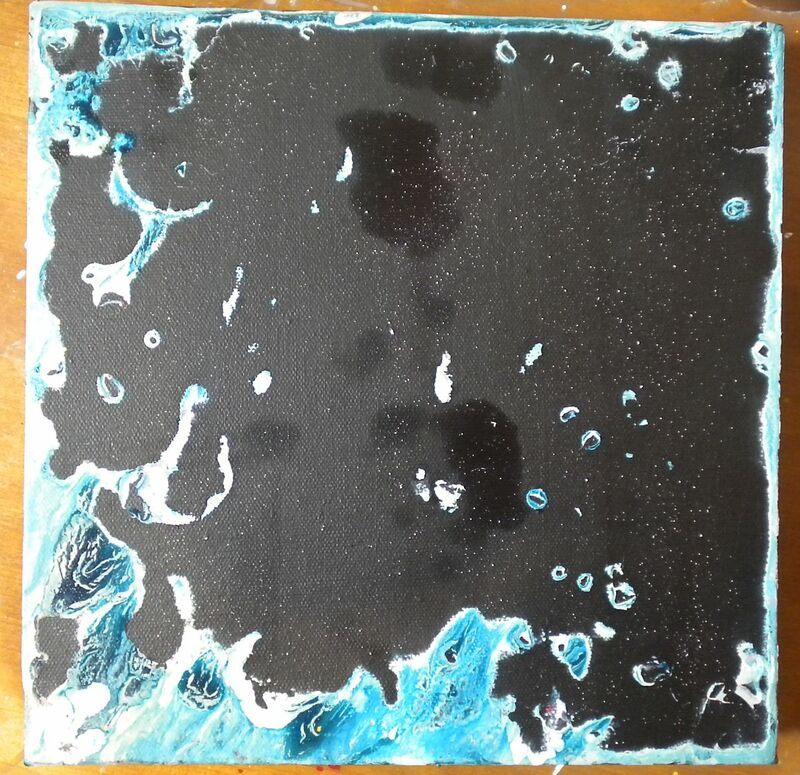 I decided to try a small one first (10×10), researched it a bit, was very conscious of my color palette, and kept it limited so that I wouldn’t end up with mud. Yeah, not so much……I ended up with a bunch of distorted Casper-the-Ghosts……..
Soooooooooo, I scraped all the paint off, and then ran the whole canvas under the tap, and got this very interesting background! Love it, keeping it, going to work with it! Somebody said that if you’re not failing, you’re not trying hard enough. If that’s true, then it’s fairly evident here that I tried hard, ha! 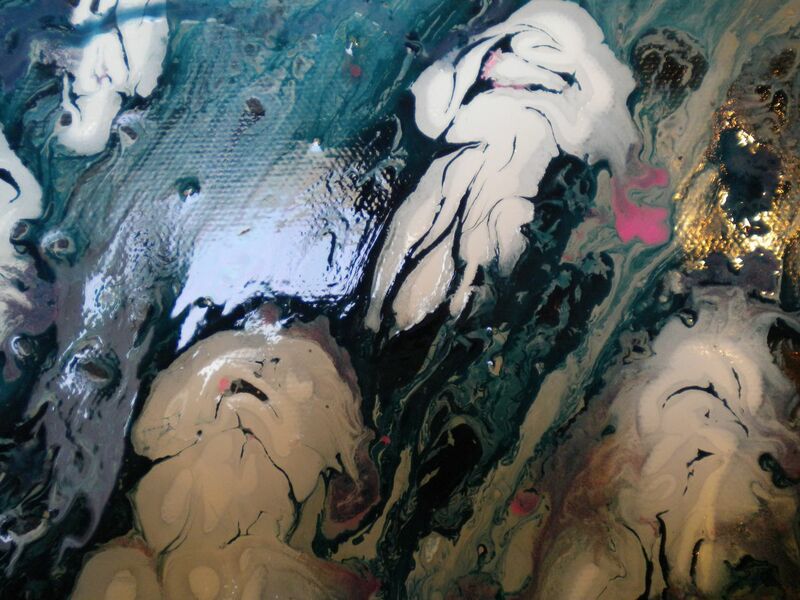 This entry was posted in Abstract, Acrylics, Pouring Paint and tagged abstract, acrylics, Pouring Paint. Bookmark the permalink. 10 Responses to Abstracts – not as easy as you might think! Love that your staying with it. 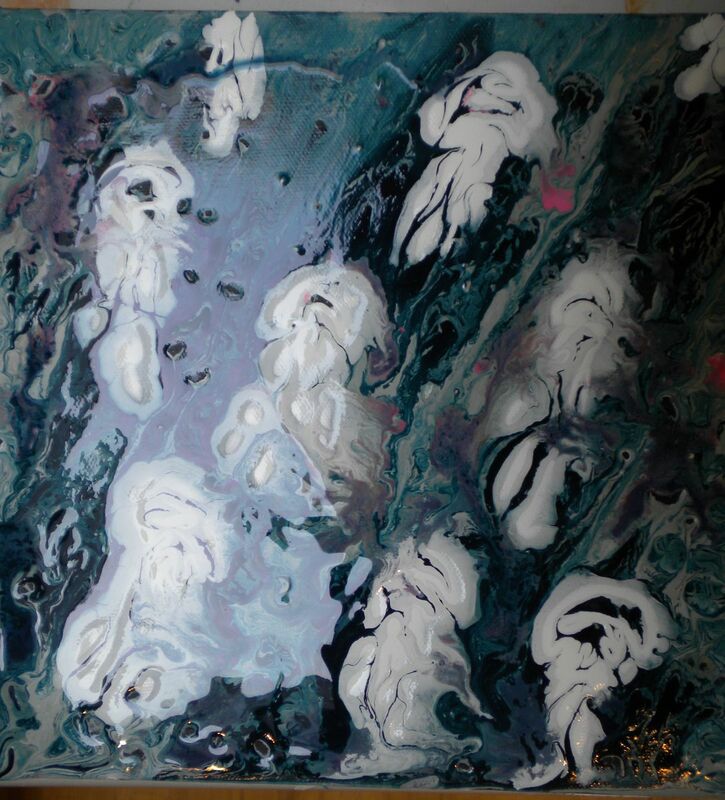 I can see the distorted Casper-the-ghosts, and the jelly fish…..what’s next??? Who knows, it’s always a mystery what’ll happen next! And as I’m sure you’ve heard a million times – you only get better if you push your limits and put in the time……..Thanks for looking at my site! Ha, thanks, but I think it would’ve scared the grandkids! I’m glad you came up with Casper, cause that was my first impression. And the washed off look is kinda creepy too. But in a good way. Yeah, I’m a big fan of the Good-Kinda-Creepy! I can actually see Casper and the Jelly Fish – not as abstract as you think. Looking forward to see what you can do with the washed-off look. I’m planning on heading to the studio this afternoon – hopefully good things will occur!